Shares of Endo International plc ENDP gained 28.3% after the company reported better-than-expected second-quarter 2018 results. The company increased its outlook for the year. Earnings from continuing operations were 76 cents per share, which beat the Zacks Consensus Estimate of 55 cents. However, earnings declined from 93 cents recorded in the year-ago quarter. Revenues came in at $714.7 million in the quarter, surpassing the Zacks Consensus Estimate of $685.05 million. However, the top line was down 18% year over year, primarily due to the loss of marketing exclusivity in the first half of 2017 for the first-to-file ezetimibe tablets, the generic version of Zetia (ezetimibe tablets). Moreover, product discontinuation in the generic pharmaceuticals segment, pricing pressure from increased competition primarily impacting the generics base business, divestiture of Litha and Somar, and the cessation of Opana ER shipments to customers by Sep 1, 2017 accounted for the decline. The results and increase in guidance come as a silver lining for the distressed investors. Endo’s stock has gained 109.5% in the year so far as against the industry’s 1.9% growth. Endo now has four reportable business segments: (1) U.S. Generic Pharmaceuticals, (2) U.S. Branded - Specialty & Established Pharmaceuticals, (3) U.S. Branded - Sterile Injectables and (4) International Pharmaceuticals. U.S. Generic Pharmaceuticals recorded sales of $241 million in the quarter, down 37% due to the loss of marketing exclusivity for the first-to-file Zetia tablets. Product discontinuances including the authorized generic of metoprolol and increased competition dampened the generic business. During the reported quarter, the segment launched praziquantel tablets, the first-to-market generic version of Biltricide. In July 2018, the segment launched colchicine tablets, the authorized generic of Colcrys. U.S. Branded Pharmaceuticals sales were down 13% to $212.6 million due to cessation of product shipments of Opana ER in the third-quarter of 2017. Specialty Products revenues increased 9%, driven by strong performance of Xiaflex. Xiaflex sales increased 27% year over year reflecting strong volume growth of the product for the indication of Dupuytren's Contracture and Peyronie's Disease. During the second quarter, Endo advanced its cellulite treatment development program. The company initiated two phase III clinical trials of collagenase clostridium histolyticum ("CCH") for the treatment of cellulite. Recruitment has been accelerated in both the trials and top-line results from these trials are now expected in the fourth quarter of 2018 (previous projection: first quarter of 2019). U.S. Branded - Sterile Injectables sales of $217.8 million was up 21%, driven by strong growth of Adrenalin and Vasostrict. In April, Endo entered into definitive agreements to acquire Somerset Therapeutics, LLC, a specialty pharmaceutical company that develops and markets sterile injectable and ophthalmic drugs for the U.S. market, and the business of its affiliate Wintac Limited, which operates as Somerset Therapeutics' contract developer and manufacturer. The company acquired these businesses for approximately $190 million. The acquisition will be closed by the end of 2018. During the reported quarter, Endo launched glycopyrrolate injection, the generic version of Robinul, as Somerset Therapeutics' exclusive distributor. In July, the segment launched ertapenem for injection, the authorized generic of Merck's MRK Invanz. Endo also entered into an exclusive licensing agreement with Nevakar, a specialty pharmaceutical company developing multiple assets in the ophthalmic and injectable areas. Both the companies have collaborated for the development of five differentiated, sterile injectable products in the United States and Canada. 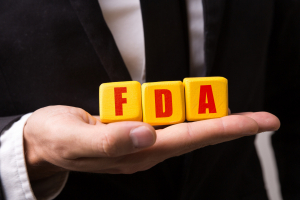 While Nevakar will develop and seek FDA approval for these products, Endo's Par Pharmaceuticals Sterile Products division will launch and distribute them upon approval. The International Pharmaceuticals division generated sales of $43 million, down from $67 million in the year-ago quarter due to recent divestitures. Endo sold Mexican subsidiary, Somar, to Advent International in October 2017. Endo also sold its South African subsidiary, Litha Healthcare Group in July 2017. Endo now expects revenues between $2.75 billion and $2.85 billion in 2018 (earlier estimate: $2.6 billion and $2.8 billion). The company expects Xiaflex’s full-year revenue growth to be in the high-teens percentage range versus its previous guidance of low- to mid-teens growth. U.S. Branded Sterile Injectables revenues are now expected to grow in the high-teens percentage range. The company anticipates earnings from continuing operations in the range of $2.50-$2.60 per share (earlier estimate: $2.15-$2.55). Endo’s second-quarter results were driven by continued growth momentum in Xiaflex and sterile injectables. Xiaflex’s performance was outstanding, propelled by demand. The increase in annual guidance was impressive as well. The company is in the process of redefining its business, given the persistent decline in the Generic business, which is expected to face challenges. The focus now is on sterile injectables and Xiaflex. While the turnaround might take time, the company seems to be on the right track. A couple of better-ranked stocks in the healthcare sector are Vertex Pharmaceuticals VRTX and Seattle Genetics SGEN. Both the stocks carry a Zacks Rank #2 (Buy). You can see the complete list of today’s Zacks #1 Rank (Strong Buy) stocks here. Vertex’s earnings per share estimates moved up from $3.16 to $3.79 for 2018 and from $4.33 to $4.58 for 2019 in the last 30 days. Seattle Genetics’ 2018 loss per share estimates narrowed from $1.81 to 83 cents and from 81 cents to 39 cents in the last 30 days.